Home Off Beat	Cherry blossom tattoo: Accentuating beauty! Delicate and feminine, cherry blossom tattoo has taken off itself to the world of body art. Being an embracing trend more and more women are getting these tattoos to reveal their feminism and to accentuate themselves with this ultimate symbol of beauty and grace. 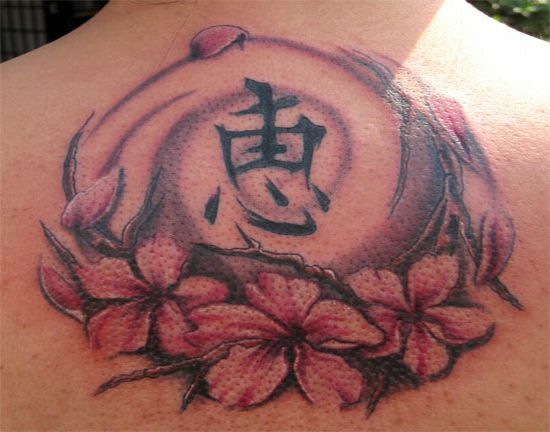 The sweet cherry blossom tat with Chinese symbol pictured here is what you say truly outstanding. Incredible tattoo- Ghastly or bizarre?